The Numismatic Museum is one of the oldest public museums in Greece, established in 1834. The collection of the museum consists mainly of coins dated from the 14th century until today depicting the financial evolution of ancient Greece to the Byzantium to the modern times. 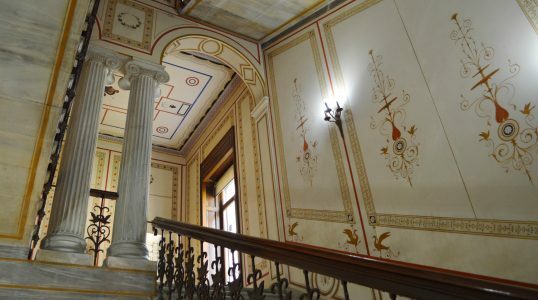 The museum is housed in one of the most beautiful mansions in Athens, the Iliou Melathron (Palace of Ilion-Troy), which was the house of the archaeologist Heinrich Schliemann. The architect was the famous Ernst Ziller who is behind the most emblematic neoclassical buildings of Athens. The garden and the café of the museum are popular among the locals.